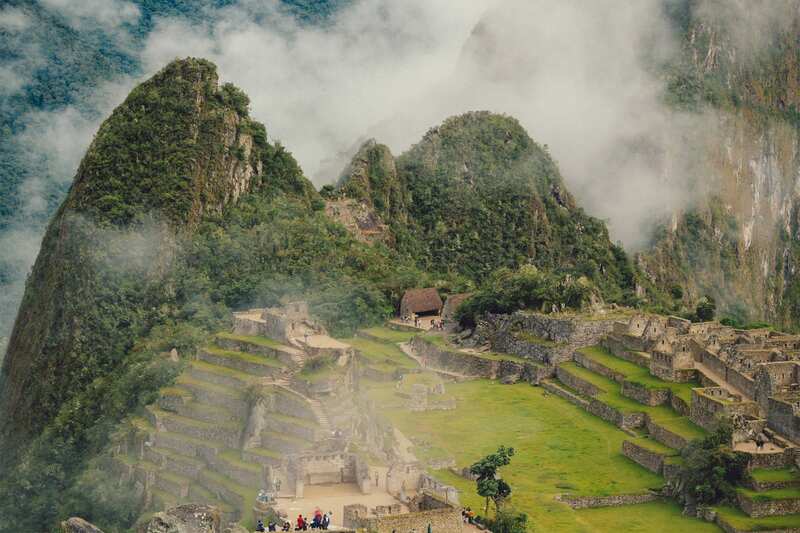 Pack for adventure, these epic 4 days will be filled with some of the most beautiful natural and historical places Peru has to offer. 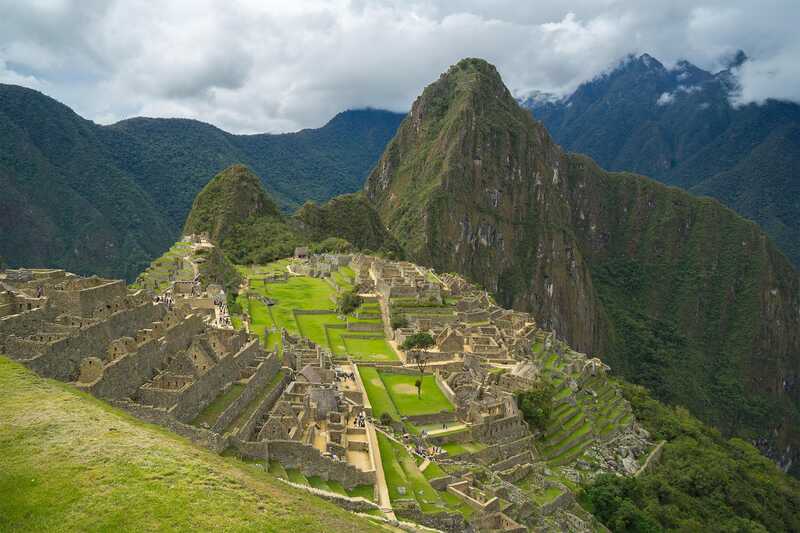 On this 4 day adventure you will visit, Machu Picchu, the Rainbow mountain, Sacred Valley's - Maras (salt mines) & Moray (several terraced circular ancient agricultural sites) and an amazing trek to Humantay lake filled with glacial blues. 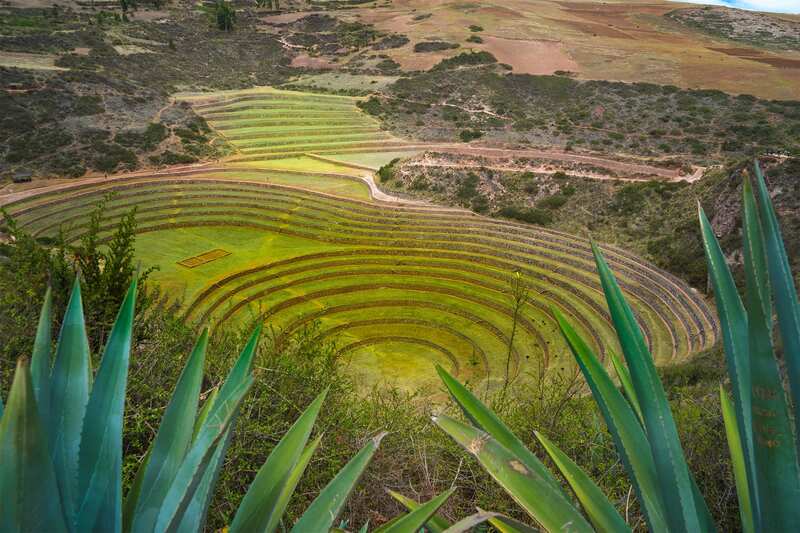 On this Moray/Maras tour in the Sacred Valley, we combine the most special Incan ruins the surrounding area has to offer. 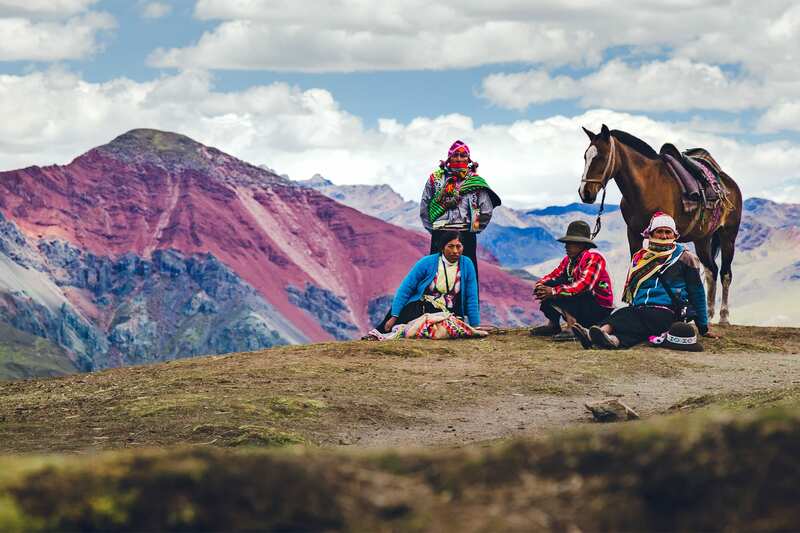 You will enjoy unparalleled landscape of the Peruvian Andes throughout your journey and get a true taste of the local culture. 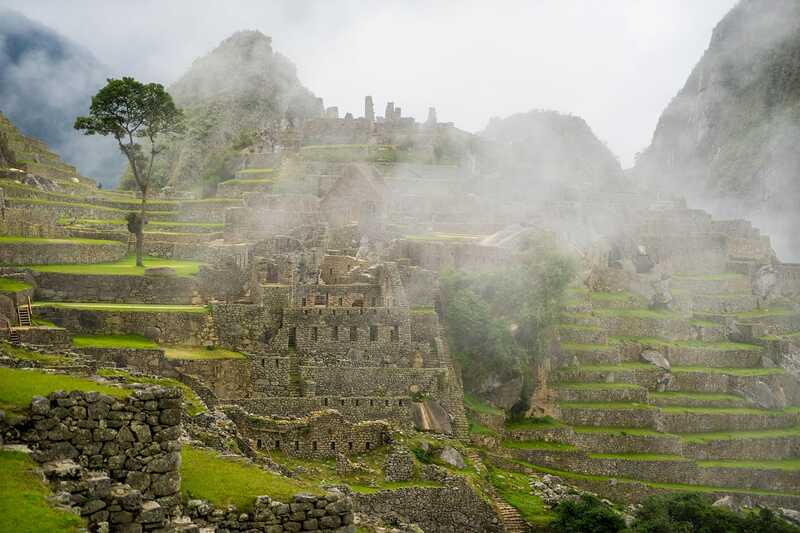 With our tour guide by your side you will learn all about the landscape, Incan history, and why the area is so important. 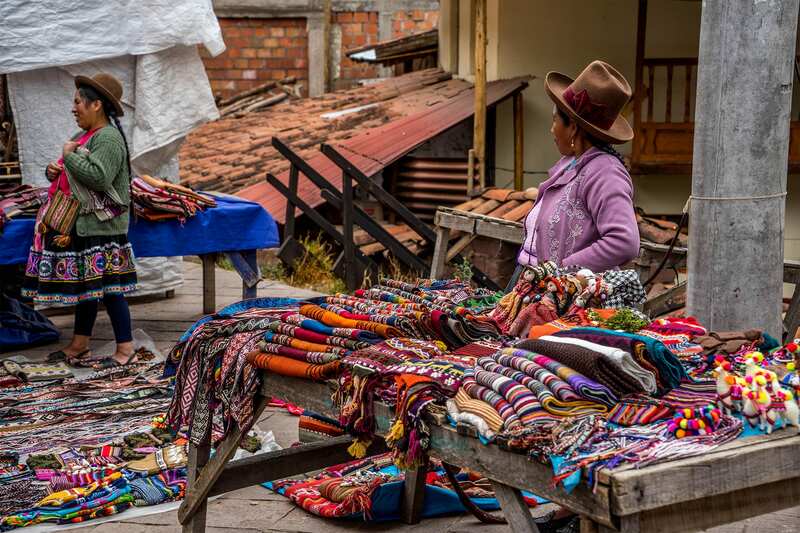 The tour starts with a visit to Chinchero market home to the famous Peruvian weaving and textiles. 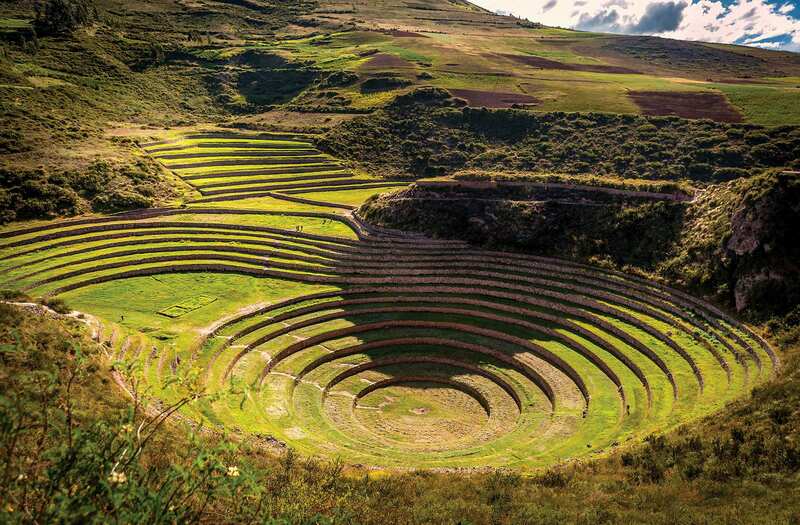 Following this we will make our way to Moray- “the Inca agricultural greenhouse or laboratory”, consisting of three archeological remains which looks like amphitheater style. 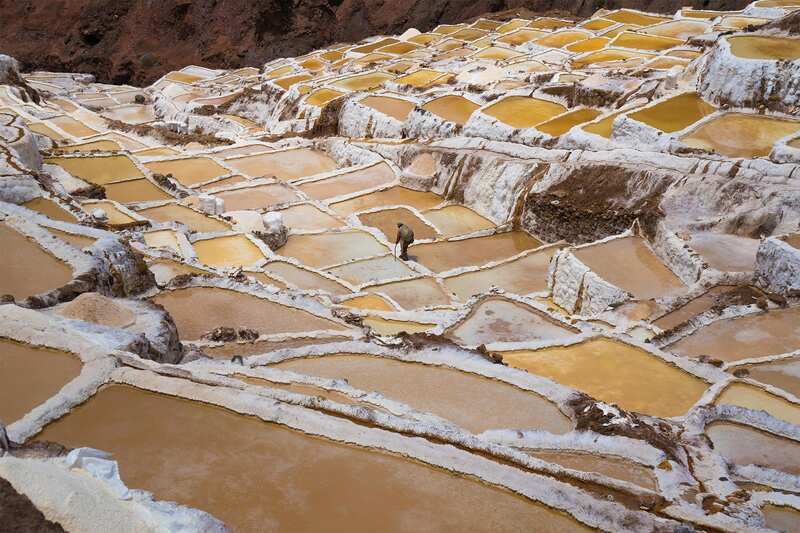 After visiting Moray we head to Maras, located 7 miles from Moray at altitude of 3,380m. This is a small village, as a model of a miniature town known for its salt mines which have been exploited since pre- Inca times as a means of economic exchange and securities. 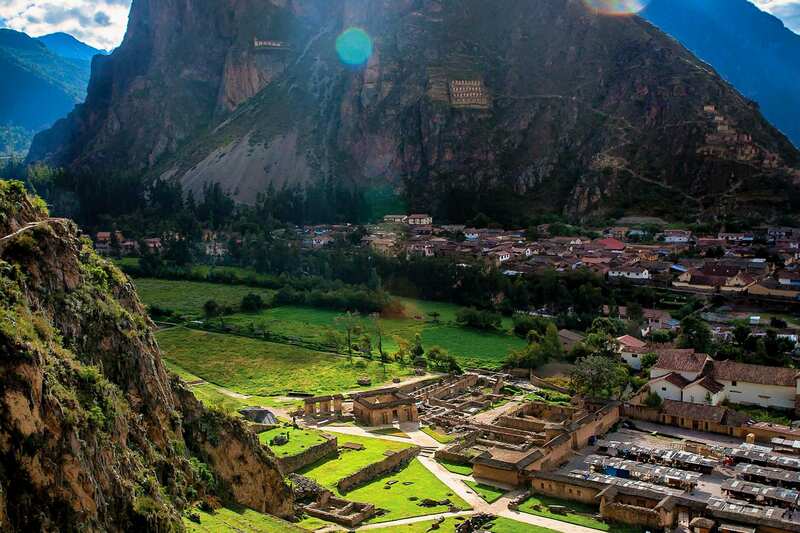 You will have time to explore the area, shop for products the locals have made from the salt and even try chicha, a corn made beer that is very important to the Inca's history. 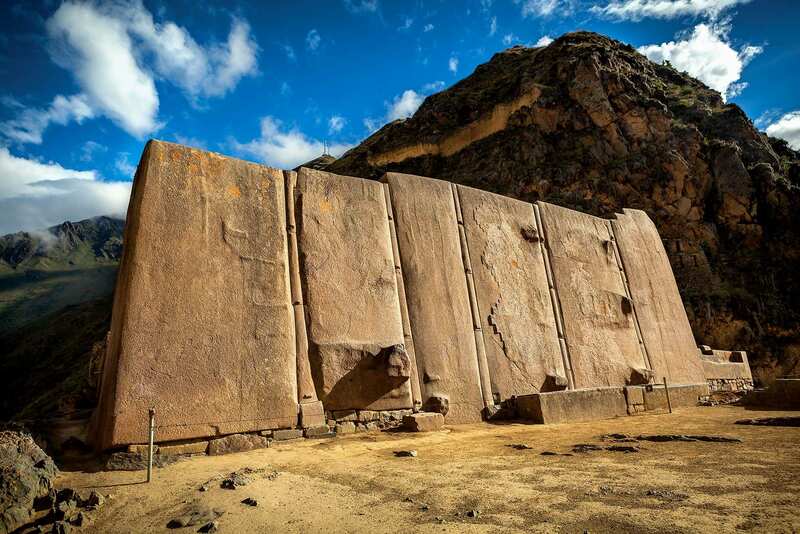 After time exploring we may have time to visit one more site- the fortress of Ollantaytambo before boarding the train to Aguas Calientes. 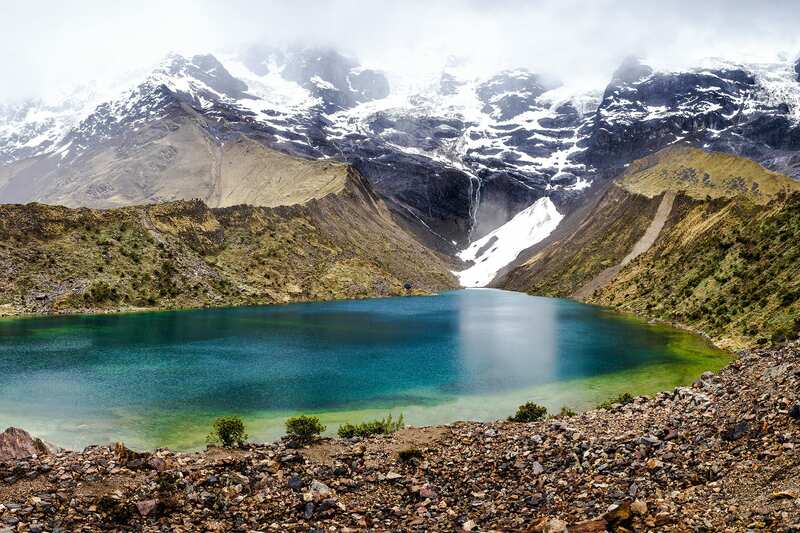 Hike to one of Peru's most magical lakes and be surrounded by the impressive Salkantay and Humantay Peaks while gazing at unbelievable turquoise water. 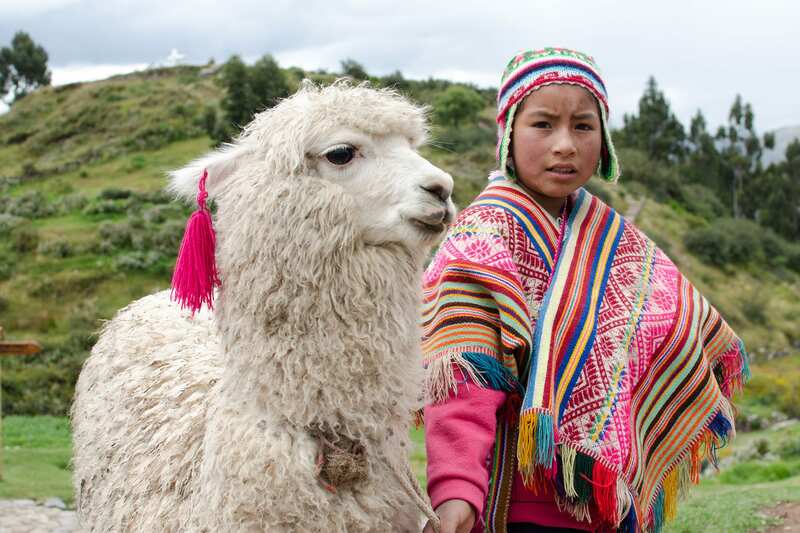 We pick you up from your hotel in Cusco at 3am and drive 4 hours to the village of Soraypampa, located in the lush valley of the Apurimac River. Here we will enjoy breakfast before we start our trek up to the lake. With beautiful views surrounding us, we ascend up the mountain 1.5 hours (1200 ft) for 2 miles taking numerous breaks to enjoy the scenery. After conquering the hill, we will gaze down on a turquoise lake , which is surrounded by steep peaks and an impressive glacier. 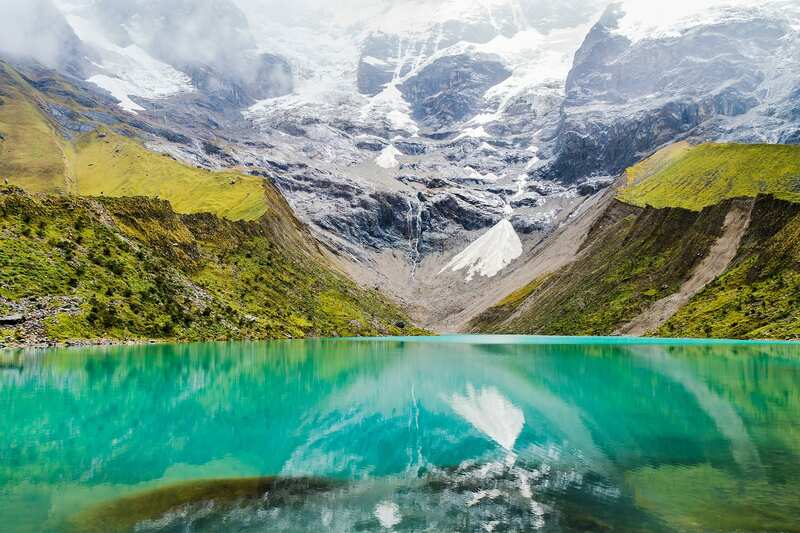 The hike is dominated by Salkantay Peak, one of Peru’s most sacred mountains, towering 20,600 feet with a sheer and snowy face. The equally impressive Humantay Peak, rising 19,412 feet, is also within view. Shamans and other natives will often give blessing when reaching the crystal-clear waters of Humantay Lake. Once we reach the lakeshore, we relax, enjoy a snack, go for a swim (if you are brave!) or give thanks to Pachamama (Mother Earth). 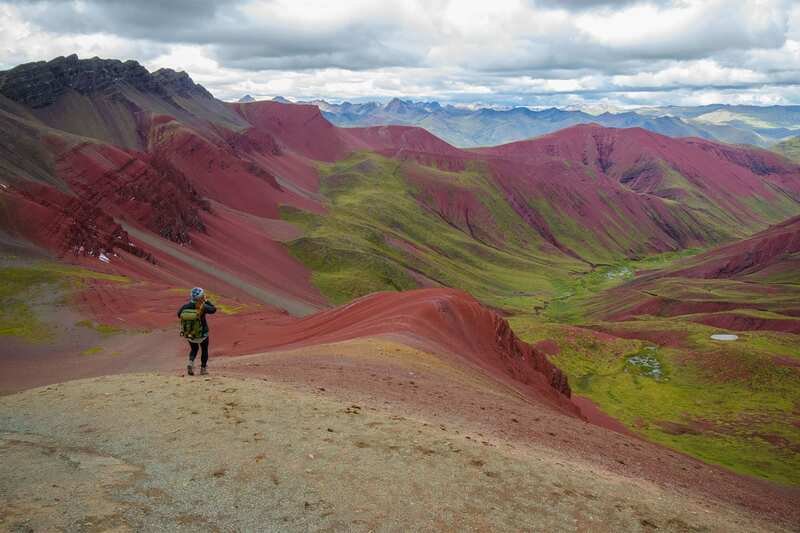 When you are ready to hike back down, we will descend to Soraypampa and have lunch while enjoying the breathtaking panoramic views of the snowy peaks. We drive back to Cusco and drop you off at your hotel. 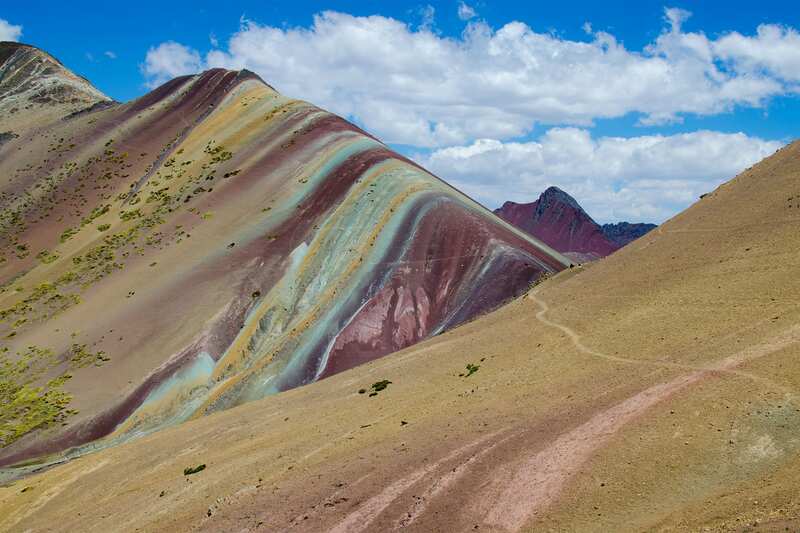 The Rainbow Mountains of Peru, offer a remote landscape experience immersing you with local cultures and unique wildlife only found in these high altitude ecosystems. This is a challenging day of hiking. Hikers should be reasonably fit, and spend some time in Cusco to acclimate (we recommend 3 days in Cusco or similar elevation). The main reason this trek is difficult is because of the elevation. 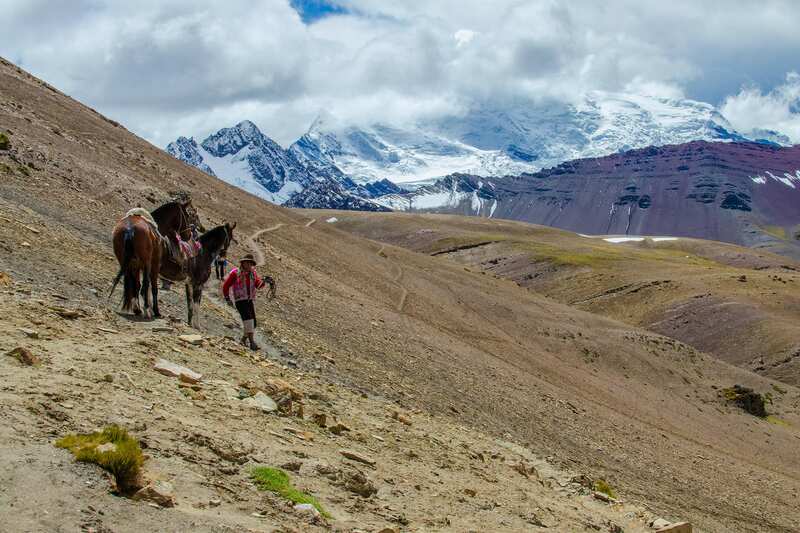 The terrain is a gradual climb and you are walking in a valley for the majority of the trek. Please consult your doctor for proper advice on trekking in high altitude.